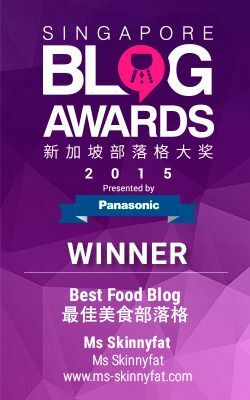 Do you eat out a lot? Are you always checking out the top tables in the city? 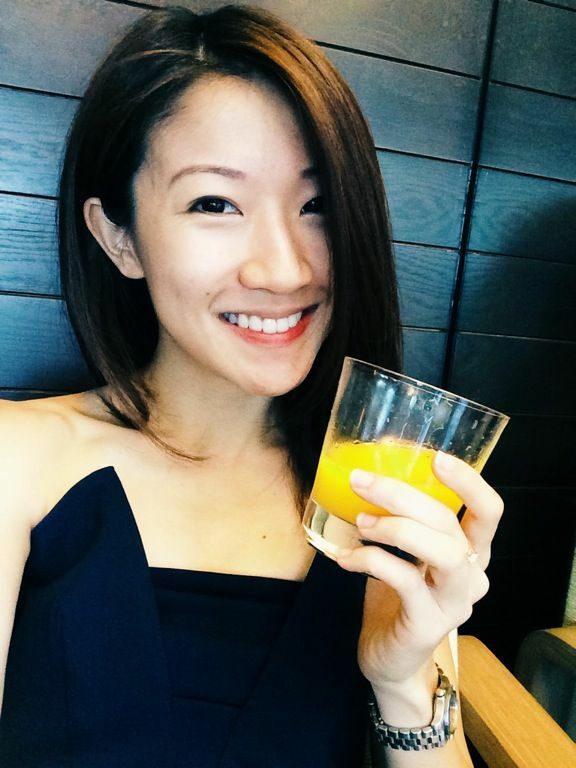 Do you do the same when you travel? If so, you will need The Entertainer mobile app. The Entertainer provides over 1000 ‘buy one get one free’ vouchers from the city’s most exclusive dining, leisure, wellness and entertainment venues, saving entertainers from burning holes in their pockets while living it up. With one-for-one deals at Au Petit Salut, Fat Cow, The Disgruntled Chef, Pelican Bar and Grill, Praelum and more, you'll be spoilt for choice when dining out. 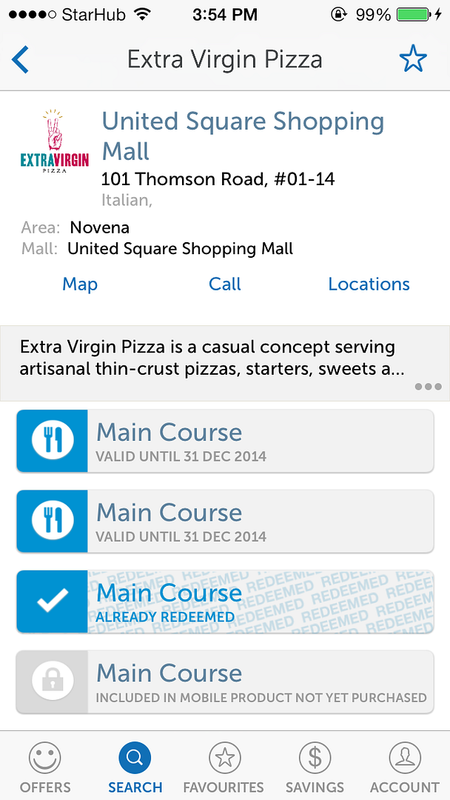 Simply download the free mobile app from iTunes, Google Play or Blackberry World. You can trial select offers for free to ensure you’re happy with the redemption process. The app is for purchase at $95 for coupon redemption till the end of the year. It allows the account holder to approve up to 3 additional usernames to access offers in the second release so you can share the joy with your friends! Using the app is very simple. 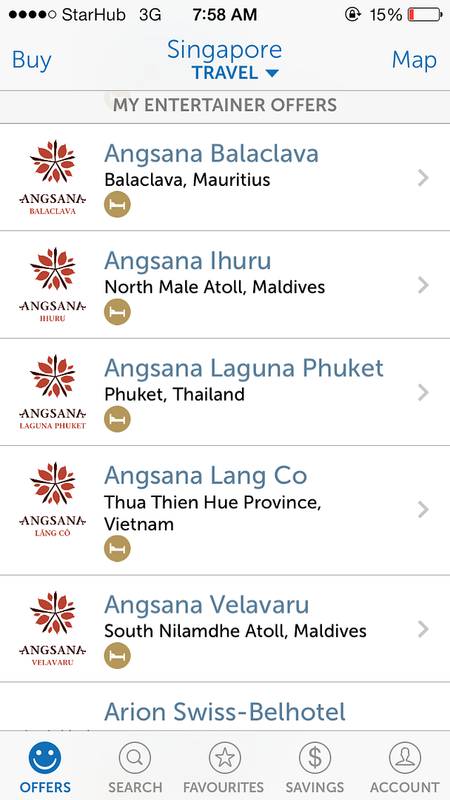 The search function helps you to easily locate merchants and restaurants in proximity to you and features individual pins for every available Entertainer offer! You'll never miss out on any offers! 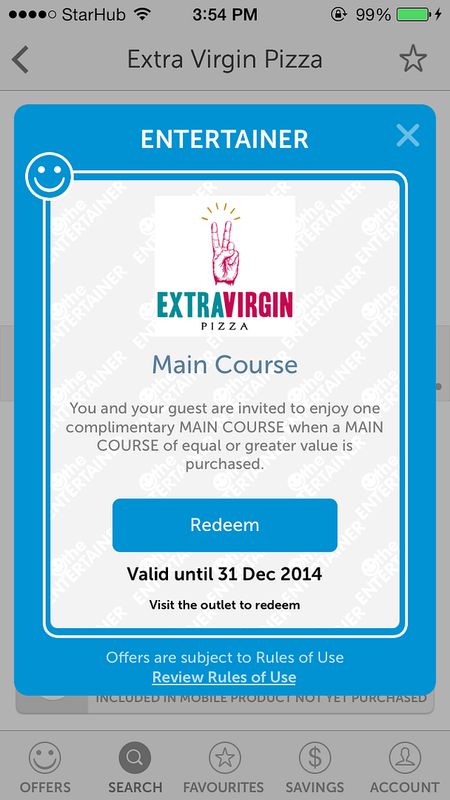 My virgin attempt at using the app was at Extra Virgin Pizza (hur hur the pun). Each outlet will have 3 of the same coupons. Simply click on the option and then redeem it. 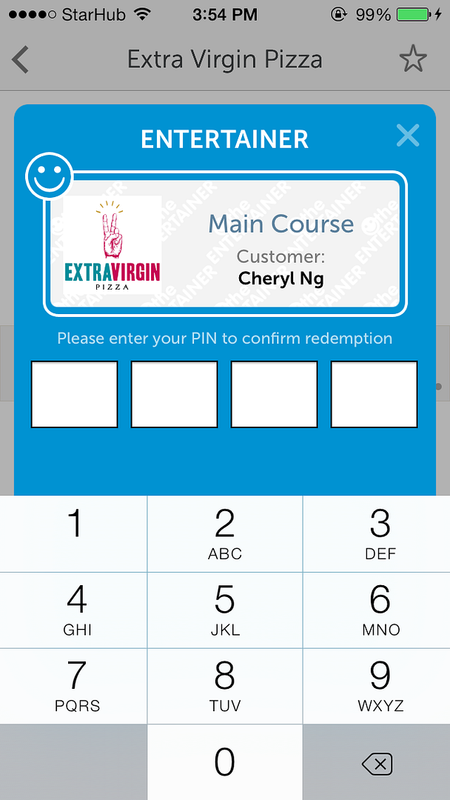 Key in your personal pin, which you create when you first purchase the app and input your details. The waitstaff will have to key in the merchant pin in order for the redemption to go through. Once that's done, the merchant will reflect the discount on your final bill! Easy peasy. 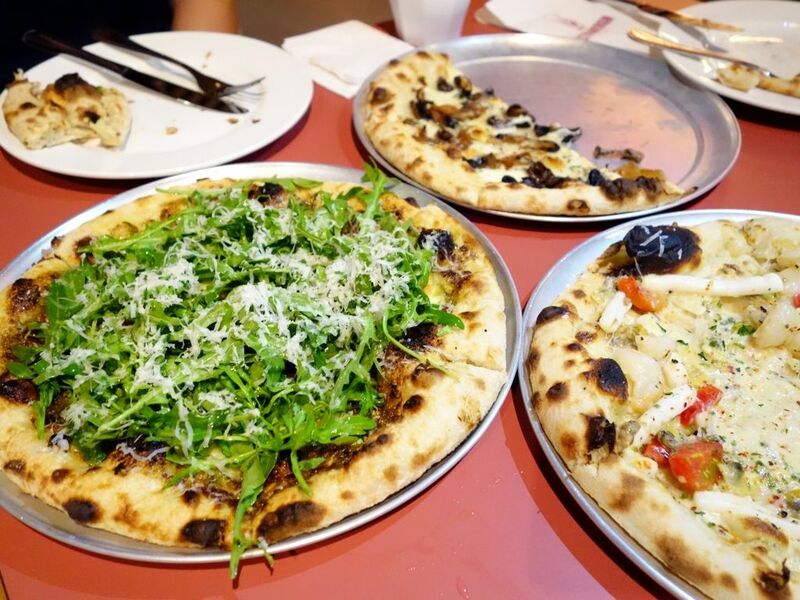 Extra Virgin Pizza offers handmade Italian thin crust pizzas using imported flour, tomatoes, cheeses and various toppings and baked in brick ovens. The dough has a nice chewy texture that is a cross between an Indian naan and a Japanese mochi. It also has a nicely charred crust. We tried several pizzas. The Spotted Pig ($26) comes highly recommended if you are a meat lover. 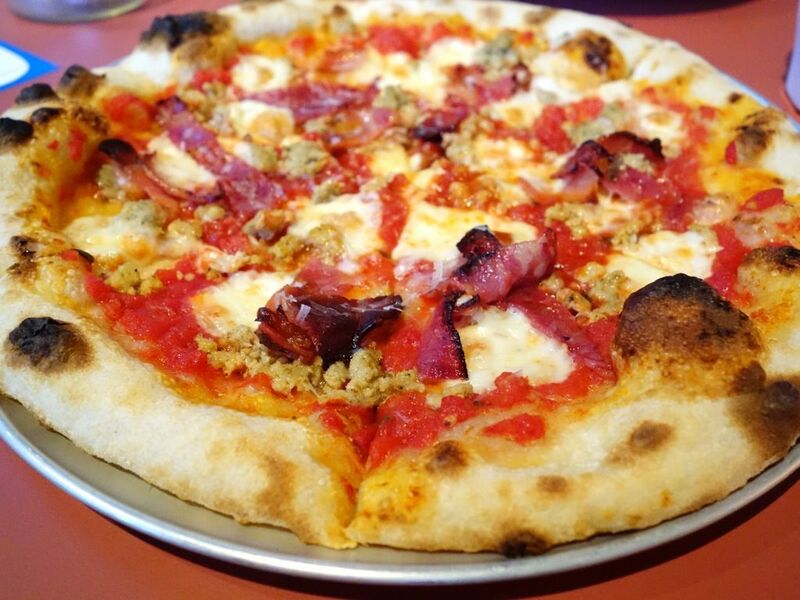 It is topped with pepperoni, pork sausage, applewood smoked bacon and parmiggiano reggiano, mozzarella and tomato. The Pistachio Pesto ($24) is great for vegetarians but also popular with the pizza crowd. I thought it could do with a little more pistachio as the nuttiness didn't seem to come forth. The Mushroom Bianco ($22), a white pizza with bechamel base smells of truffle oil which wasn't too overpowering. Thought they were a little stingy with the toppings though. 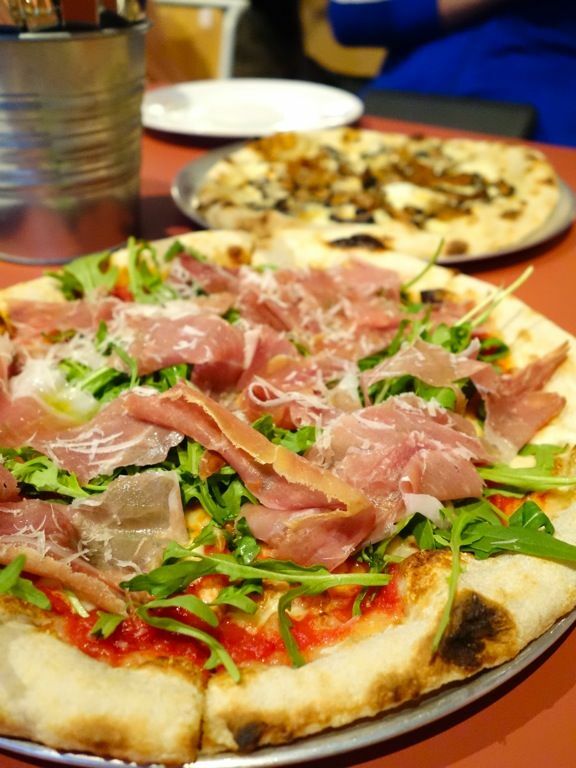 The Prosciutto and Arugula ($24) fared a bit better. Must be the prosciutto! 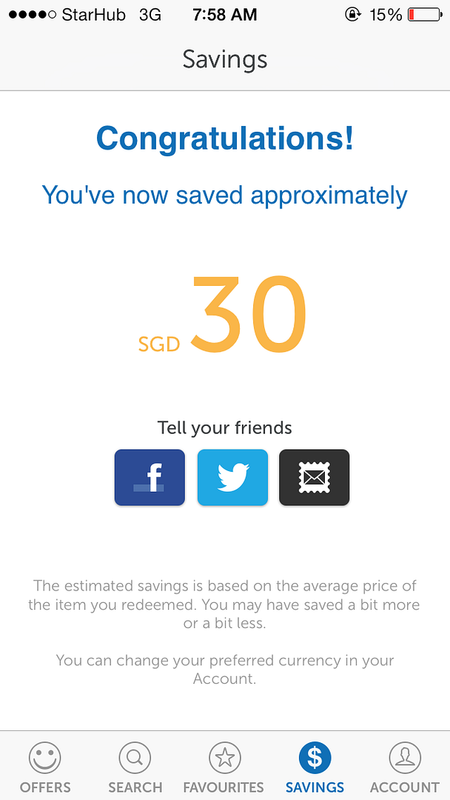 Track your savings each time you use an offer with the Savings Calculator function, which will be updated after every redemption. You'll see how extremely fast you will redeem the cost of the Entertainer product and also the savings you accumulate in the year.